TripAdvisor®, the travel site that helps find the latest reviews and lowest prices, today announced the Travelers’ Choice® awards for Destinations on the Rise. The pristine blue waters and white sandy beaches of beautiful Ishigaki, Japan earned the ranking of number one in the world, while the small Hawaiian town of Kapaa, nestled at the base of Nounou Mountain on the picturesque island of Kauai ranked as the top rising spot in the U.S. The awards recognize 44 destinations around the world selected by measuring year-over-year increase in positive TripAdvisor traveler review ratings for accommodations, restaurants and attractions, as well as increase in search and booking interest. This is the sixth year of the awards. Travelers’ Choice Destinations on the Rise lists were also revealed for Europe, Asia and South America. Nestled at the base of Nounou (the Sleeping Giant) Mountain on Kauai, Kapaa is a tourist friendly spot with a diverse array of hotels, shopping centers and restaurants. The Kinipopo Shopping Village is a favorite among travelers for its fun eateries and small keepsake shops. Fans of water sports will have plenty to do with options for snorkeling, kayaking and water skiing. Located in central Texas, Waco is home to major attractions such as the Dr. Pepper Museum, which pays homage to the locally invented soft drink, as well as the Waco Mammoth National Monument, a fossil site that is home to the bones of Columbian mammoths. Travelers can also explore the Brazos River, Texas Ranger Hall of Fame and Museum and may even catch a glimpse of local home remodeling stars Chip and Joanna Gaines around town! Wilmington is a vibrant riverfront city with the pedestrian-friendly Riverwalk winding along the Cape Fear River, connecting many of the city’s charming shops, cafés, and nightlife with waterfront hotels, parks and the Port City Marina. Annual festivals, such as Riverfest, Wilmington Beer Week and the world-famous North Carolina Azalea Festival, attract crowds year-round. Bend is a natural playground for adventure lovers – travelers can enjoy hiking and fishing along the Deschutes River, mountain biking and skiing at Mt. Bachelor, and after building up their appetite, eating at local restaurants and famed breweries and pubs. 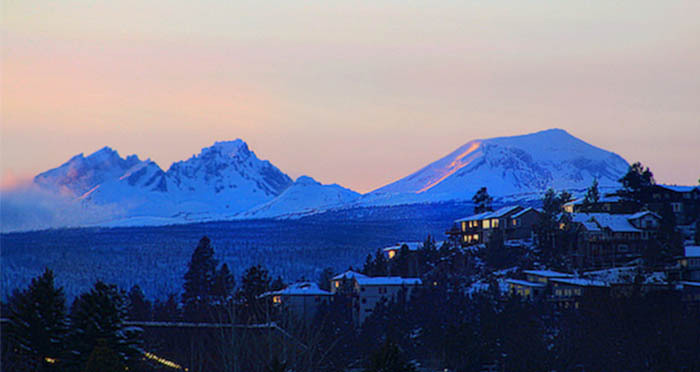 Bend is a great spot for family-friendly fun as well, with no-fee museums and ski areas for children under 12. A mecca for the physically fit, Boulder draws travelers who love the great outdoors to its 30,000 acres of unspoiled land, 200 miles of trails, and city-center paths and rivers. Nestled in the foothills of the Rocky Mountains, Boulder is also just a stone’s throw from exceptional skiing and snowshoeing. Located in central California, Paso Robles, or “Pass of the Oaks,” is close to mountains, beaches and deserts. This region is renowned for wine-making, and is home to more than 170 wineries, 26,000 vineyard acres and 40 varietals of wine. In addition to touring the popular vineyards, travelers can visit the thermal springs, which are said to have healing powers, or one of the more modern spring resorts in the area. Travelers can discover an essential chapter of America’s history in the cobblestone streets, river walks and monuments of Richmond. Originally a colonial settlement, Virginia’s capital is now a thriving hub for culture, shopping and outdoor fun. Travelers can learn about Civil War history, stroll along the canal downtown or test their nerves whitewater rafting on the James River. The charming Southern city boasts a thriving arts scene, hundreds of restaurants, shops and boutiques, popular annual festivals, numerous historic sites and museums housing significant collections. Greenville also features a one-of-a-kind “floating” suspension bridge and is set against the scenic Blue Ridge Mountains. Not just a flyover city, Omaha blends down-home charm and with urban chic. With a wealth of local breweries and a thriving music and art scene, Omaha has beer and song options to please many traveler types. History buffs can visit local museums to learn about the city’s pioneer history along the Lewis & Clark National Historic Trail. Lexington is known as Bluegrass Country and as the Horse Capital of the World, but travelers don’t have be avid thoroughbred fans to enjoy the natural beauty, culture and history of the city. There are also many hiking trails through forests, meadows and gentle creeks, as well as historic landmarks, such as the Ashland estate of Henry Clay. For the complete list of Travelers’ Choice Destinations on the Rise award-winners for 2018, as well as the latest reviews and candid traveler photos, visit: www.TripAdvisor.com/TravelersChoice-DestinationsOnTheRise. Travelers can read the latest reviews and compare prices from more than 200 sites to find the lowest prices on the right hotel for their trip at www.TripAdvisor.com. Destinations determined by year-over-year increase in positive TripAdvisor traveler review ratings for accommodations, restaurants and attractions, and increase in search and booking interest from October 2016 to October 2017. Average annual city hotel prices based on TripAdvisor hotel price comparison data from 1/1/17 – 11/30/17. Highly-rated value hotels have at least four out of five bubbles on TripAdvisor and have a nightly rate that costs less than the city annual average from January 9 – 15, 2018, as available. Lowest flight prices found based on a TripAdvisor search of hundreds of sites on 12/26/17 for round-trip fares for the next 12 months from five popular U.S. airport hubs (CHI, DFW, LAX, MIA, NYC) to the closest major airport to each destination. TripAdvisor, the world’s largest travel site**, enables travelers to unleash the full potential of every trip. With over 570 million reviews and opinions covering the world’s largest selection of travel listings worldwide — covering 7.3 million accommodations, airlines, attractions, and restaurants — TripAdvisor provides travelers with the wisdom of the crowds to help them decide where to stay, how to fly, what to do and where to eat. TripAdvisor also compares prices from more than 200 hotel booking sites so travelers can find the lowest price on the hotel that’s right for them. TripAdvisor-branded sites are available in 49 markets, and are home to the world’s largest travel community of 455 million average monthly unique visitors*, all looking to get the most out of every trip. TripAdvisor: Know better. Book better. Go better. The subsidiaries and affiliates of TripAdvisor, Inc. (NASDAQ:TRIP) own and operate a portfolio of websites under 20 other travel media brands: www.airfarewatchdog.com, www.bookingbuddy.com, www.citymaps.com, www.cruisecritic.com, www.familyvacationcritic.com, www.flipkey.com, www.thefork.com (including www.lafourchette.com, www.eltenedor.com, www.iens.nl and www.dimmi.com.au), www.gateguru.com, www.holidaylettings.co.uk, www.holidaywatchdog.com, www.housetrip.com, www.jetsetter.com, www.niumba.com, www.onetime.com, www.oyster.com, www.seatguru.com, www.smartertravel.com, www.tingo.com, www.vacationhomerentals.com and www.viator.com.